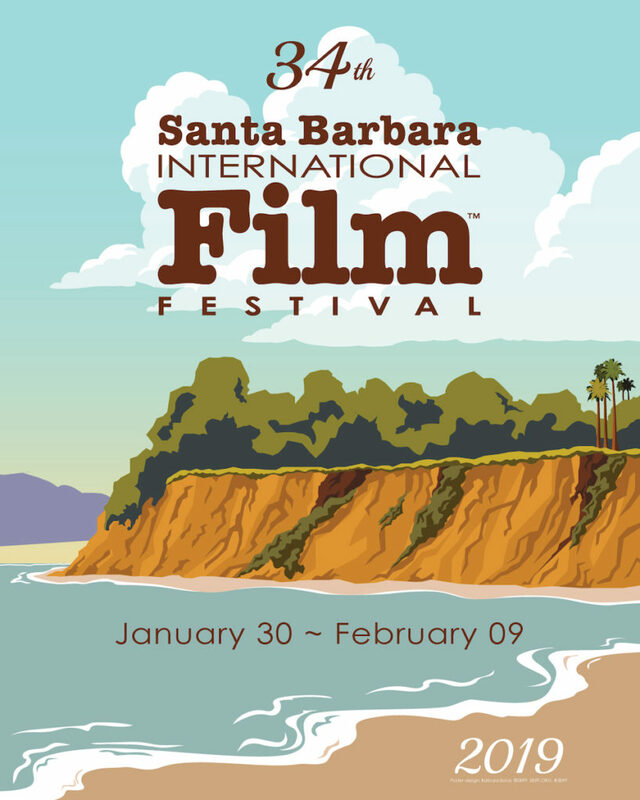 The 34th Edition of the Santa Barbara International Film Festival taking place from January 30 to February 9, 2019, will feature 63 world premieres and 59 U.S. premieres from 48 countries, along with tributes with the year’s top talent, panel discussions, and free community education and outreach programs. The 34th Festival Poster was unveiled, again created by Barbara Boros who has designed the SBIFF poster each year for 16 years, this year highlighting Butterfly Beach. SBIFF 2019 will start on Wednesday, January 30, at the historic Arlington Theatre with the world premiere of Diving Deep:The Life and Times of Mike deGruy directed by Mimi deGruy. Diving Deep:The Life and Times of Mike deGruy is a feature film documentary about Mike deGruy, an irrepressible biologist turned award-winning filmmaker who swam, dived and filmed in oceans around the world and in the process became the first to film many rarely seen creatures in their own oceans. He was also a passionate advocate of the ocean’s creatures and became increasingly outspoken as an environmental activist. In 2012, deGruy died tragically in a helicopter crash in Australia while filming for director James Cameron. 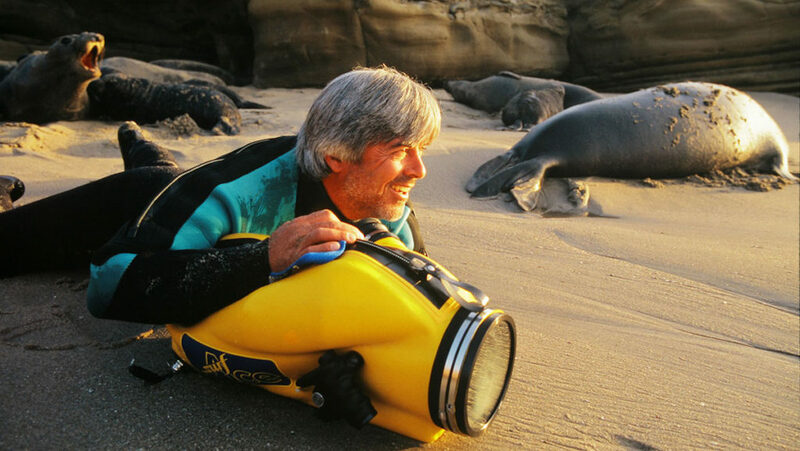 Told through the eyes of Mimi deGruy, his wife and filmmaking partner, Diving Deep:The Life and Times of Mike deGruy celebrates deGruy’s remarkable life, career and what he passionately believed: we are destroying the ocean before we even know what’s there. The Festival will close Saturday, February 9 at the Arlington Theatre with the world premiere of Spoons: A Santa Barbara Story directed by Wyatt Daily. SPOONS: A SANTA BARBARA STORY is an exploration of how one of the most significant corners of the world produced, and continues to produce, some of the most talented surfers and innovators. Deeper than all is a story of craftsmanship, work ethic, renegades and tradition. This is a film that goes beyond the time spent in the ocean to define how one spends a lifetime. SBIFF has become an important showcase for Academy Award frontrunners, and will celebrates some of the year’s finest work in film. Viggo Mortensen will receive the American Riviera Award and Glenn Close will be presented with the Maltin Modern Master Award. Black Panther’s Michael B. Jordan will receive the Vanguard Award while the Virtuosos Award will be presented to Yalitza Aparicio (Roma), Sam Elliott (A Star is Born), Elsie Fisher (Eighth Grade), Claire Foy (First Man), Richard E. Grant (Can You Ever Forgive Me? ), Thomasin McKenzie (Leave No Trace), John David Washington (BlacKkKlansman), and Steven Yeun (Burning). Zack Lipovsky & Adam B. Stein’s FREAKS Wins Audience Award at 2019 What The Fest! ?